Ardshellach has a wonderful elevated situation facing due south over Loch Etive – a sea loch which extends eastwards from the Atlantic coast towards remote and wild mountains. 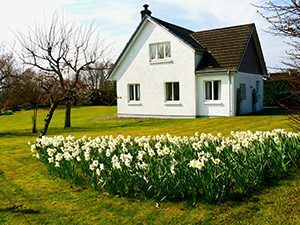 Set in half an acre of enclosed garden above Loch Etive and with lovely views, Ardshellach was purpose-built for holidays. It is perfectly located for making the most of the coast, hills, islands, wildlife and history of this magnificent area. It is wonderfully peaceful, and a place to relax. There is easy access to Oban and the wider area for shops, restaurants and many local attractions. Open nearly all of the year. 7 miles from Oban and superb base for exploring islands, lochs, coastal walks and mountains.